I usually prepare to be the bearer of bad news for this monthly roundup, but April wasn't too bad. In fact, while we do still have some delistings, we have a fair number of relistings to balance it out. This month's check has turned up one Xbox One title and four Games on Demand that have been removed from the Store, although a couple of those are still available in North America. On the contrary, we have one Xbox One title, two XBLA titles and two Games on Demand that have made a return. We'll begin with the Xbox One titles. After being removed in March, Kung Fu Panda: Showdown of Legendary Legends has returned to the Microsoft Store and is available for purchase. All of the game's premium DLC has also returned, meaning you can get the extra level, extra characters and alternative character skins again. On the other hand, Earthlock: Festival of Magic has been removed from the Microsoft Store as promised, due to the release of the improved "shouldhavebeenedition" Earthlock on April 11th. Moving on to XBLA titles, we have better news. While we'd already mentioned that Call of Juarez: Gunslinger had made a welcome return after publishing rights had switched to Techland, there was a second title returned to the Xbox Marketplace after an absence of six years: Ion Assault. The reasons for this game's return are not clear, but we're not complaining. In terms of Games on Demand, the news was more mixed with two relistings and four delistings. Earlier in the month, we'd already mentioned that Avatar: The Last Airbender: The Burning Earth had been relisted, making it far easier to locate the source of the easiest 1000G in existence. If you've followed along so far, the second relisting shouldn't be much of a surprise. 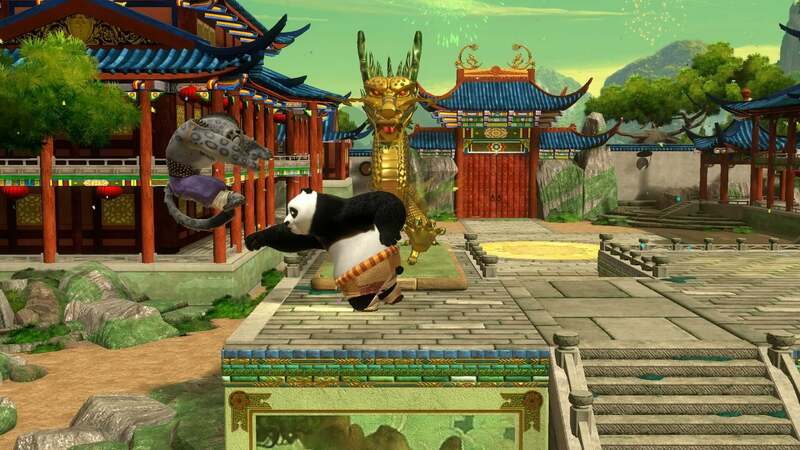 Like its Xbox One counterpart, Kung Fu Panda: Showdown of Legendary Legends (Xbox 360) is back on the Xbox Marketplace. Below is the list of Games on Demand delistings. Some of these are only in certain regions and we've noted them below. Of course, all of the games on the list below were also released on disc. If you missed out on these and still want to play them, you'll need to find a disc copy going forward. Games marked with ** still have DLC available for purchase, but I wouldn't wait much longer to grab it if you're interested. We'll be back in June with the next round of delists, if there are any. However, if we get advance warning of any future delists, we'll be sure to let you know before they happen. Don't forget that due to expiring licenses, lots of DLC for The Pinball Arcade will be delisted from the in-game store on June 30th. This will affect all of the game's achievements if you don't have the tables already, so check out this list to see which ones you still need and make sure to purchase them before that date.